As previously stated, I recently went to Germany for 6 weeks participating in archaeology with Grampus Heritage. Here is the first post and here is a post with various photos from the dig. I completed a short report on the placement, and its available here (2011 excavation), on the Grampus website. I will re-post the report in full to give an impression of what its like to partake in adventure, and encourage all European undergraduates and post graduates to take part. 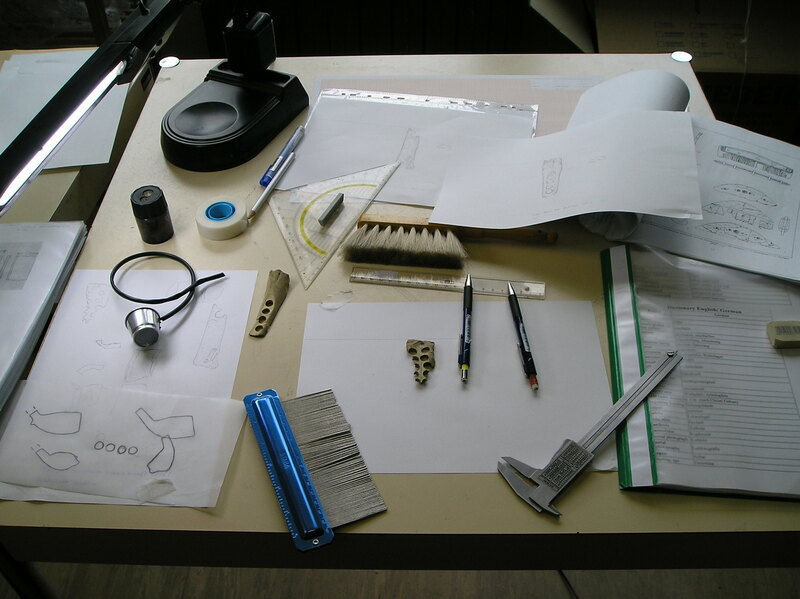 I had the pleasure of spending six weeks in the city of Magdeburg, Germany, on a Leonardo Da Vinci placement, organised by Grampus Heritage and hosted by the Landesamt für Denkmalspflege und Archäologie Sachsen Anhalt in the summer of 2011. 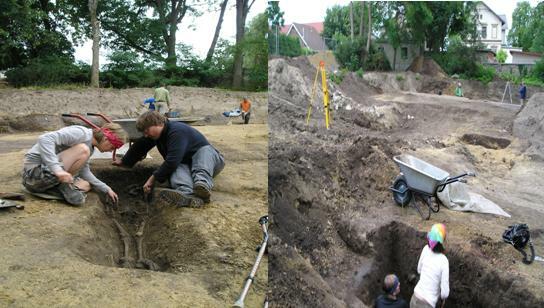 The archaeological work was based both at the archaeological department and two archaeological sites outside Magdeburg. The first site was a rescue site ahead of road construction at the village of Domersleben, to the west of the city. This was a previously unknown medieval cemetery, possibly dating from around the 10th century (the dating wasn’t complete or known), or thereabouts. 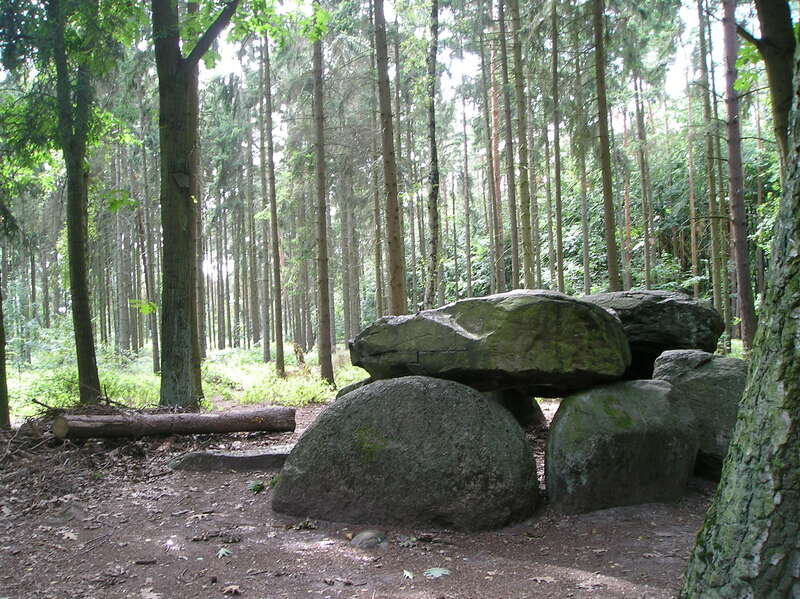 The second site was a University of Kiel research dig at a Linearbandkeramik (LBK) site located near the town of Hundisburg, again west of Magdeburg. Our accommodation was located in the north of the city, in 3 flats in one building. Before I went I invested in a small guide to basic German Language, and now looking back I wish I had spent a few days learning the basics rather than slowly learning them whilst I was there. It’s definitely recommended as it helps with basic communication with the residents of the city, and whilst shopping alone. Don’t let first sight of the city deceive you! Magdeburg is a glittering diamond of a city, hewn from a historical smorgasbord of repression and destruction (The 30 Years War, Nazism, & Communism to name a few). 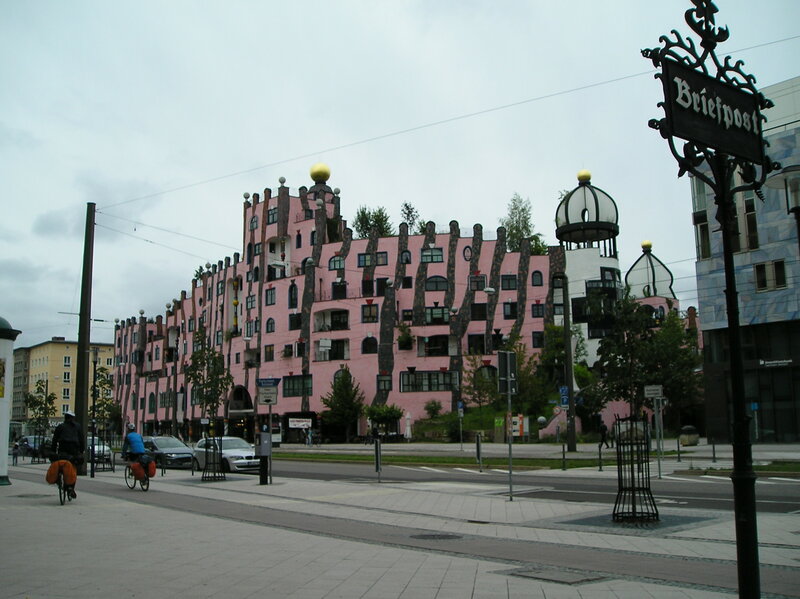 Yes, it is plain to see the physical damage wrecked on the city from the Communist city planners, but look a bit closer and it becomes plain that Magdeburg has some rather wonderful and strange buildings. 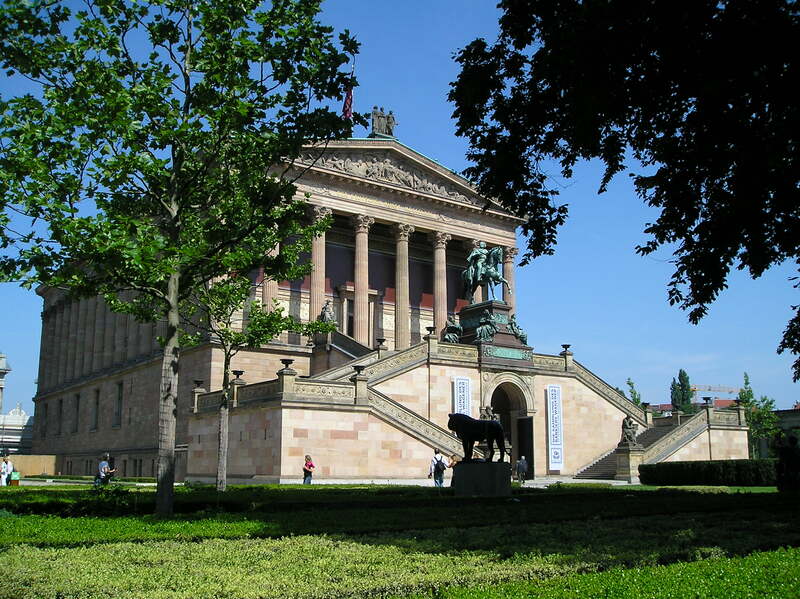 It also has historical architecture to rival any other German city. On first entering the city via the RE Bahn, we passed several dilapidated buildings and structures, and each with a nervous glance aside, we wondered what we had let ourselves in for. But we needn’t have worried. 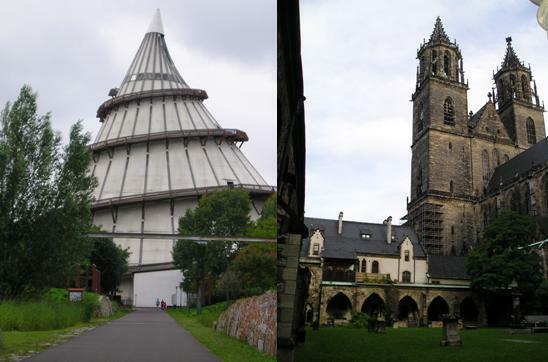 From the rightly famous Gothic Dom (the first gothic cathedral outside France), to Hundertwasser’s ‘Grune Zitadelle’ & the Jahrtausendturm (Millennium Tower), Magdeburg offers architectural treats in various forms from all sorts of eras. The wide plazas, from the GDR era, offer lovely views down the long main streets. The trams that go all throughout the city are easy to hop on and off, and are accessible for wheelchairs, bikes or prams etc. Just don’t make the mistake of not buying a ticket or sharing the wrong ticket as the tram officers can fairly brusque & rude! It is very much worth having a good walk around the city to understand the different residential areas & where the main attractions can be located after a few days. The main drinking outlets of Magdeburg city centre are located in Hasselbach Platz, where the bars tend to be open fairly late and where most people congregate on Friday & Saturday’s. There are some particularly lovely bars just off this area, and the group located a Turkish Shisha bar just near the main museum. For a small price you can smoke a variety of flavours of shisha & drink some pretty good cocktails. Definitely recommended! After work, I enjoyed nothing more than heading to the nearest lake (in this case Neustadt See- more below), and having a swim in one of the little remote beaches dotted along the lake side. There is no better way to relax after a hard (and hot) day in the office then to swim in the cool waters. It also offers a chance to try out some basic German with the Magdeburg residents! For the more adventurous there was also ‘CableIsland’ at Neustadt See, which offers water skiing on the lake. There are plenty of shops nearby the flats where we stayed (Neustadt Platz, just North of the city centre and a quick ride on the tram), including a variety of food shops. One of the first things we noticed was the relative cheaper price of food and everyday goods; beer in particular was also cheap! Some of our favourite food shops were Kaufland & Pennymarkt, which quickly became a mecca for cheap goods and a wide variety of fresh foods. In the city centre there were internet cafes (no disabled access though! ), large shopping centres such as the Allee centre & the main post office. There are plenty of little cafes around offering excellent ice creams and a large selection of foods. An Italian café near the University soon became a favourite. Also in the city centre was the Opera House, the main museum, and of course the famous Magdeburg cathedral (or Dom). These are not to be missed! 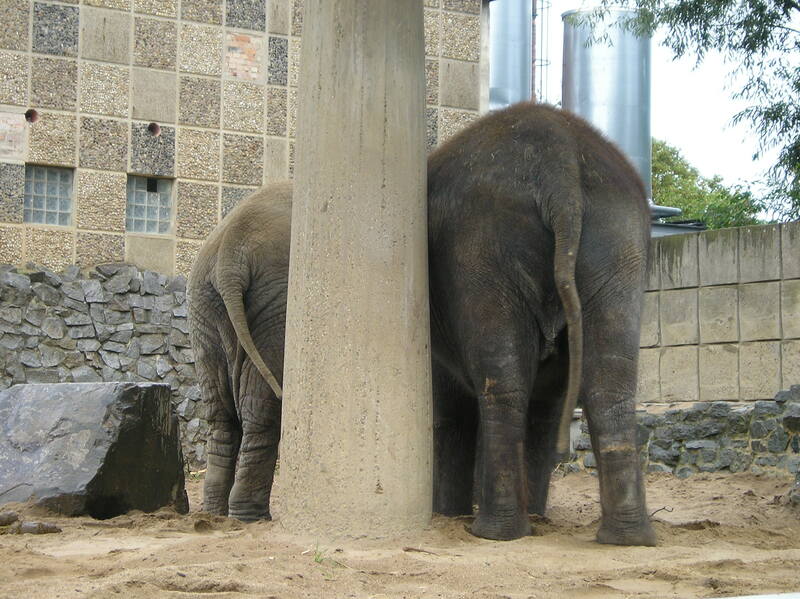 Just outside the city centre is the rather impressive and somewhat hidden away Magdeburg Zoo with a wide range of animals on display. Across the river Elbe to the south of the centre there are a variety of parks such as the Elbaeunpark which houses theMilleniumTower, and the Rotehorn park which has numerous cafes and is ideal for a stroll around. 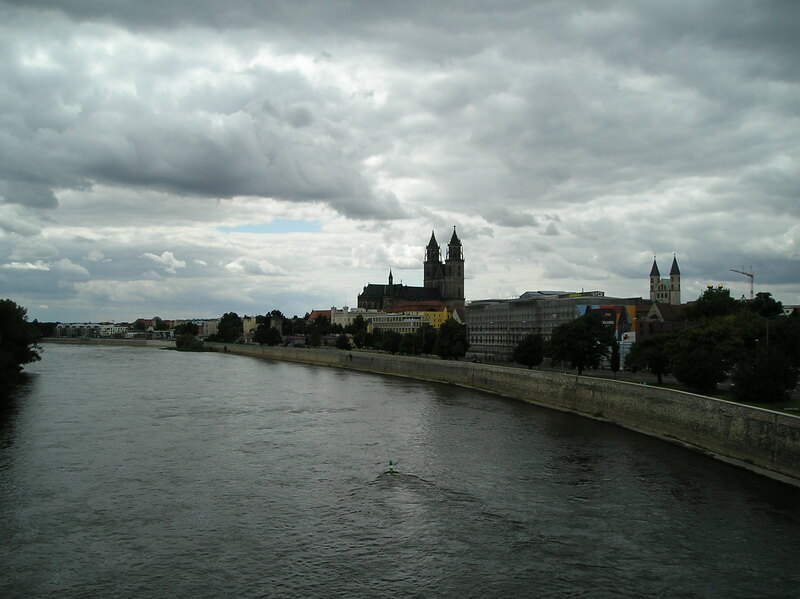 Magdeburg is noted for its greenery and has been noted as one of the top green cities in Germany today. As stated the work in Magdeburg, in the state of Sachsen-Anhalt, involved two archaeological digs & finds work at the base. The first dig, which was open throughout the whole of the six weeks, was a rescue archaeological site which was a medieval cemetery located in the village of Domersleben. This previously unknown site was earmarked for road construction & expansion, and so ahead of the diggers the cemetery was excavated fully. We received lifts to and from the site from the on site archaeologists. Altogether at the site numerous burials were found, aligned East to West in the Christian tradition. On two of the burials knives were found, and it is thought that they cemetery could date from around the 10th to 12th centuries AD. This was the first time I had worked with human remains in the field, and I thoroughly enjoyed it! Although I was only able to get out on site 4 times or so because of how damp the site was and because of my own mobility restrictions, I found it engaging, informative & interesting. I learnt how to carefully uncover the grave cut, how to record and bag the skeleton, & how to be very careful not to miss out any of the bones in the grave fill. The German team on this site were kind, instructive and helpful. It was clear that they expected us to get on with the work, rather than nannying the students. The other site that opened up in the 3rd week was a research led dig by the University of Kiel, of a LBK site near Hundisburg, around 30 to 40 minutes drive from Magdeburg. Although I did not take part in this dig because of accessibility issues, I am reassured it was a hard-working site! The excavation technique at this site was different then the open air site of Domersleben. Square meter pits were opened and dug to around 10-15cm with sites found being bagged and pinned in situ. The hours of work were longer then Domersleben, and the students who worked at this site came back quite tired! 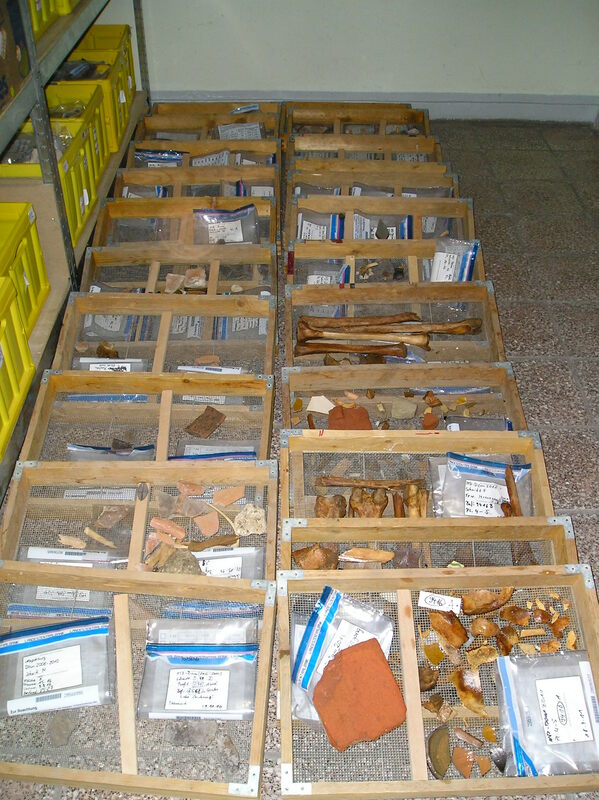 I worked mainly at the finds department, engaging in activities I have little done in British archaeological units. This included drawing artefacts to archaeological specifications, piecing together medieval roof/floor tiles & helping to glue them, and various Bronze Age pottery pieces, back together when/if they fitted. I also partook in some finds cleaning including processing of human & animal bone, and the usual suspects of ceramics and tiles. My praise of the German finds department team cannot be higher. Sven, Rainer, Claudia, Secret, Christine, Angelica & Peter all provided a warm welcoming environment in which to learn new skills and acquire new friends. The archaeological units in Britain could learn a thing or two from the mighty breakfasts enjoyed here! At the start of the placement the other students rotated round as to who was volunteering with me, but as the second site opened up I went to the department alone. I was very happy to work with the finds as they provided help when needed and in particular Rainer Kuhn provided a helpful hand in pointing out points of interest in the city. He, and others, also provided lifts from the University Platz to the department, of his own accord, which was most helpful to me. At first it seemed as if only Rainer and Claudia could speak English but as the weeks progressed and I tried to speak some basic German, communication became easier, and with the help of the translators of Rainer & Google translate conversations were able to take place. We had the weekends free and the days and weeks passed by in an easy hypnotic rhythm as we got used to working and living abroad. 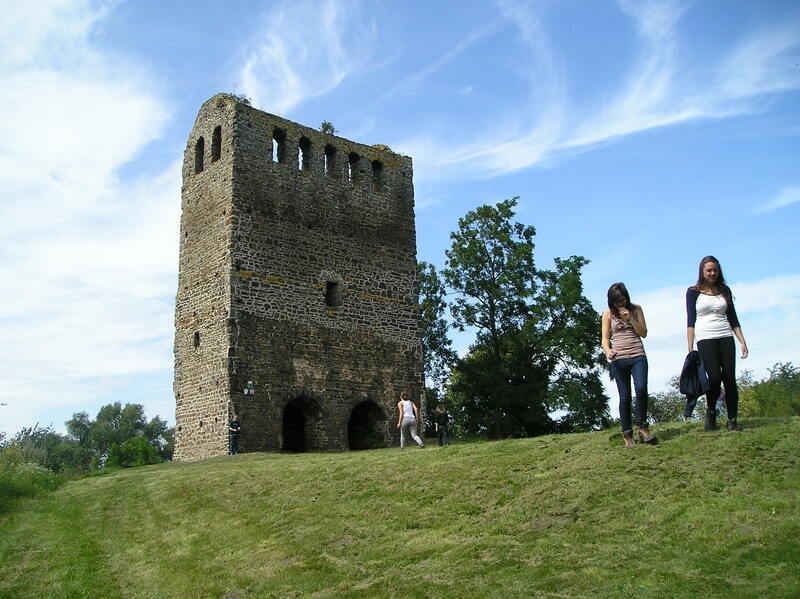 We had day trips out to see archaeological sites around the Magdeburg and Sachsen-Anhalt area. These were provided by Dr Thomas Webber alongside a few other key archaeologists, and included visits to the Palaeolithic Hundisburg site, a medieval deserted village, a Neolithic Megalithic tomb, a wooden castle, and a road development archaeological site. One of my favourite trips and museums was seeing the Prehistory Museum in Halle. This has got to be one of the most impressive prehistory museums in Germany, with its range from human evolution (Homo Erectus onwards) up until the Bronze and Iron Ages. In particular some of the displays of the artefacts and block lifted archaeological specimens were amazing and inspirational. Whilst in Halle we also got to look at a modern archaeological laboratory and were suitable impressed by the block lifted Neolithic well that Goetz showed us. Halfway through we also all had a trip overnight to see the sights in Berlin. This was a fantastic trip, with a delightful stay in a St Christopher hostel in Rosa Luxemburg Platz. We managed to cram in most of the museums on Museum Island (Neues Museum, Greek, Etruscan and Roman Museum etc) alongside seeing the sights such as the Berliner Dom, Brandenburg Tor, the Reichstag, a chilling look around the memorial & museum to the murdered Jews of Europe; as well as a walk to the 1.5km stretch of the Berlin Wall that is now given over to artists. Museum at the Museum Island, Berlin. All in all Magdeburg provided the perfect base in which to work and relax, and I’m very thankful that Grampus provided the opportunity to live and work abroad. I have very few regrets about choosing this placement as it was all set up fine, with enough money given for spending and activities, the training given was competent & the archaeological sites were varied and interesting. 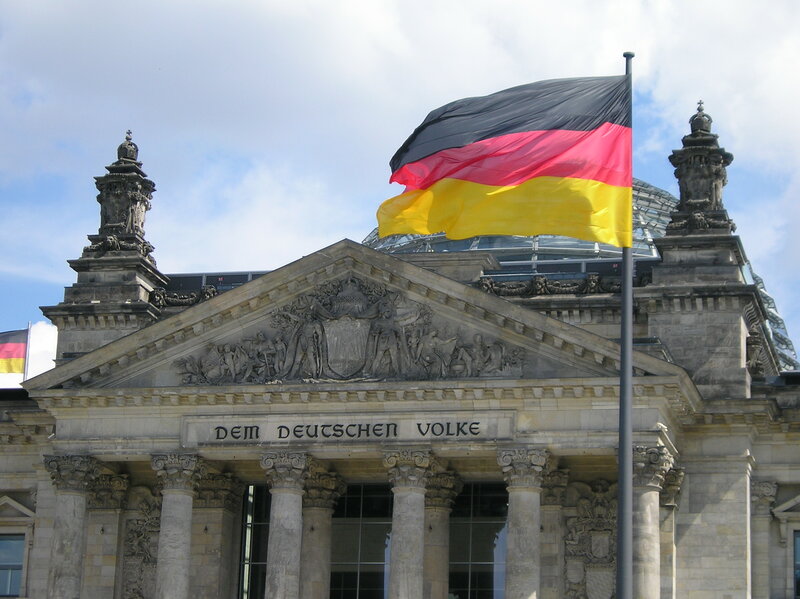 Above all I praise dearly the German staff who provided such a warm environment in which to live, work and learn.